Cast H 13, fully heat treated 52-54 Rockwell C scale. Face ground flat after heat treat. Above anvil has 5th. Foot. & 5 ” Horn. with or without 5th. Foot. Balance plus shipping due prior to shipping, approximately 6 weeks from date of order. 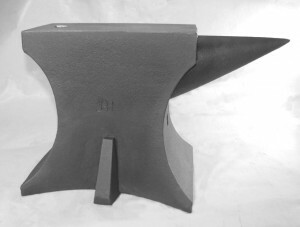 These anvils were designed by Jymm Hoffman. 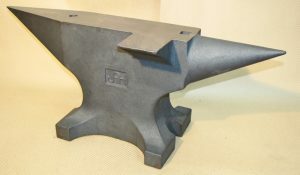 While the Colonial Pattern Anvil is not an exact duplicate of one anvil, it is based on several originals that are actually early London Pattern anvils exported to North America during the 18th. century. 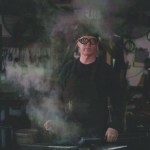 As these early anvils were hand forged, no two were exactly alike. 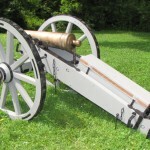 These are meant to be used and are being used daily at historic sites and as well as in private individual’s shops. The Continental Pattern Anvils are based on anvils found in Europe, the size and shape are adjusted to Jymm’s desires. This double horned anvils are extremely versatile and several are in use in Jymm’s shop, as well as other clients shops on a daily basis.